Role Summary The Cox Business Outside Sales Manager leads assigned outside sales team to achieve Cox Business sales goals. Hires, trains, and coaches performance of outside sales and/or retention representatives in assigned market to ensure that corporate sales and retention strategies are followed and goals are achieved. The position works in an office setting with customer visits and sales ride-alongs. The role is part of a budget-driven, sales organization; pressure to meet ambitious sales goals and will involves people management and complexity. Use of personal or company car to travel occasionally to customers’ locations within the system is an expectation of the role. Primary Responsibilities and Essential Functions Essential functions of the role include leadership, planning, communication, administration, and self-development. Primaryresponsibilities within these functions include: •Develops a professional sales culture. Serves as a role model for the sales team in all aspects of the business. Balances the urgency of meetingbudget goals with focus on team success. •Hires and builds a sales team that has the ability and resources to achieve sales andretention goals. •Coaches, develops and manages the performance of the outside sales team to ensure they have the capabilitiesrequired to meet targets for revenue growth, service, productivity, quality and optimization of customer satisfaction within assigned area. Ensures that eachSales Representative is using the IMPACT Sales approach and uncovering the needs of each customer to ensure the Cox Vision and Trusted Provider focus. •Serves as a subject matter expert or advisor on selected customer sales and handles issues escalated by team members. •Collaborates with CB Marketing Manager to assure that effective planning and coordination between CB Sales and the overall marketing objectives of Cox is maintained. •Facilitates segment-specific strategic planning to maximize marketshare and revenue and maximize the potential of team’s account lists. Assigns accounts to appropriate saleschannels, and within inside sales, assigns account representatives with consideration toshare growth, cost of sale, and client potential. •Sets sales goals (quotas plus key sales objectives) and other defined sales metrics for outside sales representatives, based on corporate/regional sales goals for assigned market. •Develops appropriate territory structures for geographical and/or vertical markets. •Develops account forecasts and manages sales team to achieve maximum revenue while maintaining profitability. •Communicates customer concerns, sales opportunities, implementations, and related issues within the sales team, across the local system, and across systems. Recommends and coordinates implementation of solutions with various Cox organizations. •Leads sales team meetings to coordinate sales efforts and communicate changes in direction, products, policies, expectations,processes, and standards. •Works with the Manager of Inside Sales to ensure customer leads received from their directreports are passed to outside sales representative as appropriate. 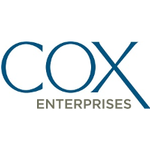 •Coordinates and maintains effective working relationships with other Cox Business and Cox Communications departments to ensure high quality customer service. •Reviews and approves sales presentations, ROI assessments, commissionreports, and otherreports developed by outside sales representatives within his/her approval authority. •Prepares regular expensereports and controls expenses while meeting or exceeding corporate revenue goals and maximizing product margin. •Ensures that direct deports update allrequired customer information in a timely fashion. •Attends job-related training and informally remains current on technical information regarding Cox’s telephony, data, and video products and offerings, and sales through completion ofrequired/recommended training program. •Creates and participates in opportunities to serve as a public representative and image builder of Cox in the local community in order tonetwork and develop and maintain Cox’s presence; e.g., promotes and/or attends non-profitevents, serves as a member of the Chamber of Commerce and other local councils.